Sterling T. Cowart, ( Tom ) 66, of Ft Lauderdale and Miami, Florida passed away on Monday April 1, 2019. Born August 21, 1952. He was the son of the late Jack and Mary Cowart. Sterling was the owner of Pro Installation Fence Company in Miami. He was a loving father, grandfather, brother, friend and US Army Vietnam War Veteran. He was preceded in death by his sister Denise Bradley. 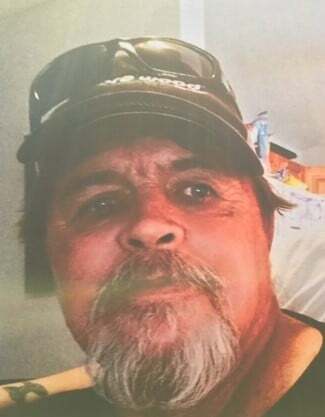 He is survived by his loving family: Companion, Denyse Powell, Daughters, Samantha Zuniga and Kimberly Hensley, Sisters Jacqueline Devries, Clara Boozer, and Beverly Orr; Grandchildren, Savanna Zuniga, Savian Zuniga and Summer Hensley. A “Celebration of Life ” with Military Honors to celebrate Tom’s life is scheduled at 6:00 PM, Friday, April 19, 2019 at the Veterans of Foreign Wars Post 1966, 350 S/W 25th Street, Fort Lauderdale, Florida 33315 with the VFW Post 5335 Commander Larry Block to officiate. My deepest sympathy, I loved our father very much. He was an amazing father, loving, giving, and dependable. I miss him terribly. My condolences to family and friends. I knew Tommy in my very early teen years and his first wife, Deborah, and his long time friend, Larry Stevens. For what I remember of Tommy, he was a fun loving, teasing, sort of person. Many of us have come together again via the social internet since growing older. Some have had the pleasure of knowing each other throughout their whole life. I am blessed to find old friends through the social media and to discover how their lives have been. I would not have known many of their lives outcome without social media. I feel that even being unconnected throughout the years, my love of all my friends has lived on…. even for Tommy. I did not know you well, Tommy, but your friends and family, I am connected. I pray for peace. It was just yesterday, we were but children. .
May you rest in peace. And may all that know and love do you find comfort at this time. Mr.Tom… I know you arw with our father. We lived next door to me my ENTIRE life. I have WONDERFUL memories of you helping not only my parents but EVERYONE on the block. Forgive me… I didn’t realize the impact until now. Thankyou for your legacies you left behind. And more importantly to me Samantha. If there is a spiritual world… I pray you visit her and confort her in your absence. I pray you are able to spiritual comfort everyone who was blessed enough to get a chance to meet you. Sincerely…. The girl next door who thought you were a super hero next door. REST WELL Mr. Tom. My deepest condolences, to the Sterling family, I pray that GOD get you through these hard times, I have been very blessed to have known “Tom Kat” we have shared our Miami Dolphins stories and laughed hardedly when he came to the Fence City office. Tom, I am going to miss you my brother, but I know your in a better place now drinking your diet coke, GOD has gained an ANGEl. RIP Tom Kat. Tomkat! You were loved, appreciated, and respected by so many. You always had Bill’s back and were a true friend not afraid to ever stand up for your beliefs and your friends. You and Dee loved each other for a lifetime. You are one true friend, like a brother that the universe will miss, a good soul and spirit and I know without a doubt, you are with our creator, Father God! We love you and you will live on in all of our hearts forever. We will watch Dee’s back for you as long as we can. God and freedom be with us all brother! Love and miss you so much. I will always hold you in my heart. Give Mom & Dad a big hug.